You might have came across the situation that you want to delete a file but it’s in use so you can’t! I have a solution to that which I would like to tell you, it’s useful and pretty simple though. Just this! What this will do is delete shell32.dll from C:\Windows\System32 the next time you restart your windows. If you want to add one more schedule then just enter 2 blank lines and type a new command just like above. Just like you delete the files you can also change the files on restart. 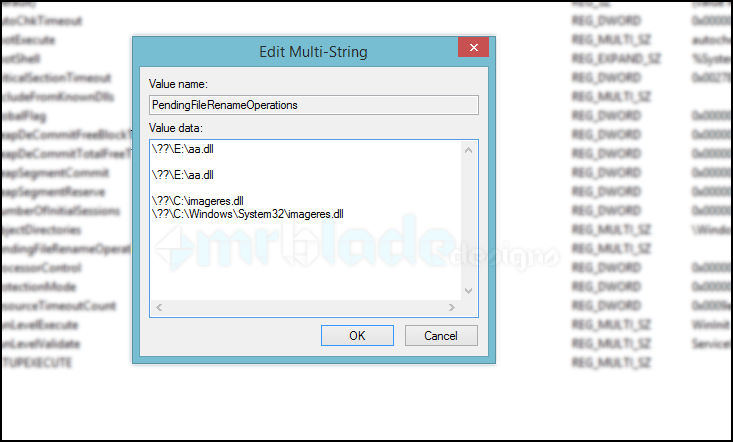 In case you don’t like typing the whole thing in regedit then you can also use a software Movefile by sysinternals.